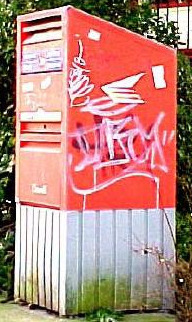 Graffiti is an expensive and defacing form of vandalism and Canada Post hopes to eliminate this nuisance on their street letter mailboxes by introducing a new design so graphically bold, that it does not leave much space work for the creators of graffitis. Furthermore, a special coating on the re-designed mailboxes will make it easier to remove the graffitis as soon as they are reported. No notices, stickers or graffiti are to be placed on Canada Post equipement and a decal will be applied on the side of each post box to that effect. Violators will be prosecuted. 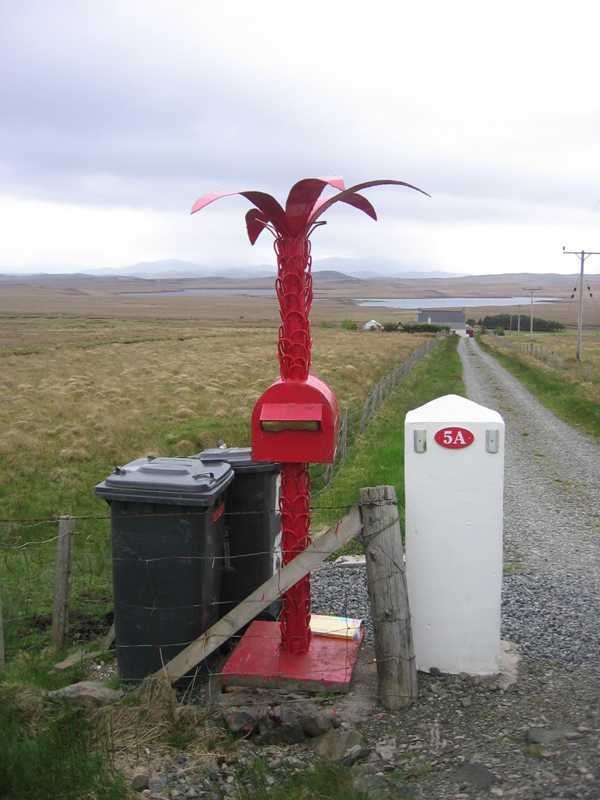 First cities to install the newly designed mailboxes were Winnipeg and Vancouver. Calgary is the next one and the new mailboxes are due to be installed in the upcoming month. Canada Post also mentioned that any mailbox with volume less than 25 letters per day will be eliminated in order to concentrate the services in more busy area. At the moment, they have more than 32,000 installed throughout the country! In the video below, geoffmobile showcases the newly designed street mailboxes on a Vancouver street. 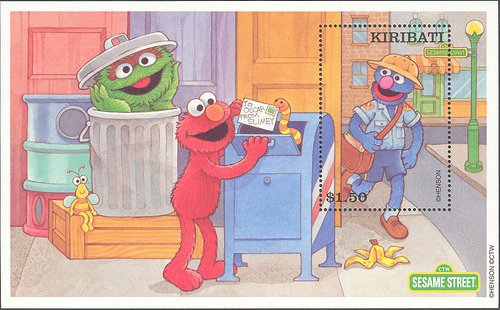 As a side subject, let me tell you that residential letter mailbox is an object that always fascinated me. They are unique, one-of-a-kind pieces of art revealing the homeowner’s unique style and personality. I wrote an article on Creative Digital Photography‘s blog about this passion of mine and you are kindly invited to read it by clicking here => You’ve Got Mail ! .. A Peek Into Collections of Mailboxes Photographs . 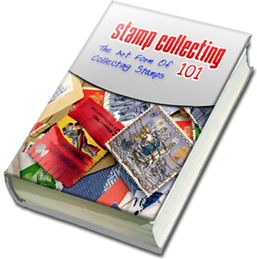 Over and above the fact that I collect photos depicting world wide mailboxes, I am sure you will not be surprised if I tell you that I also collect them on postage stamps 🙂 It is a fun topic and such a great idea for a topical stamp collection. 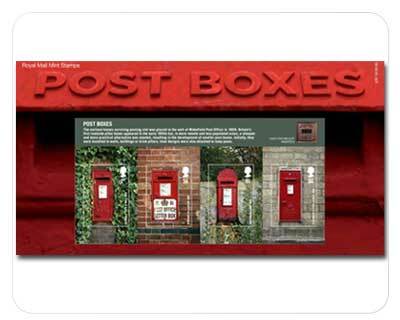 Before mail post boxes were created, post offices had a slot in the door to place the unstamped letters in. 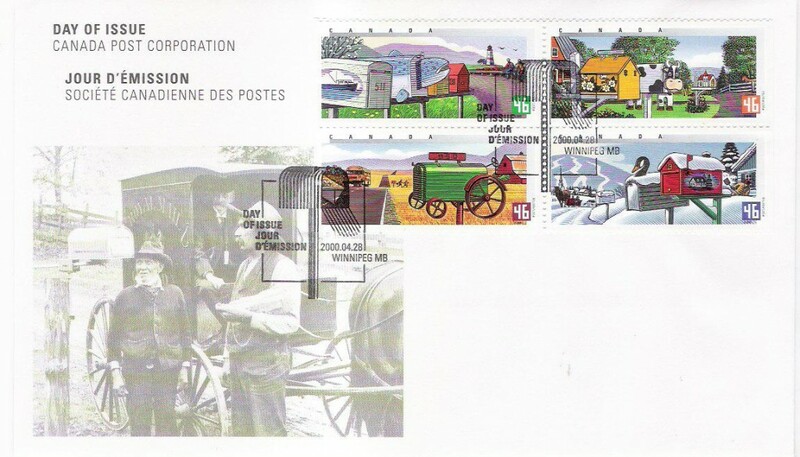 France is credited with creating the first mailbox in 1653. The first post box appeared in Jersey in 1852. Initially mailboxes were only of the pillar variety (free standing) and they were all painted green. Over time others were created to include the wall box, pedestal box and lamp box and they were all painted red. Here’s an interesting bit of England’s mailbox trivia…when the IRA bombed a shopping center in England in 1996, one of the only things that survived the bombing was a Victorian pillar mail post box that dated back to 1887. 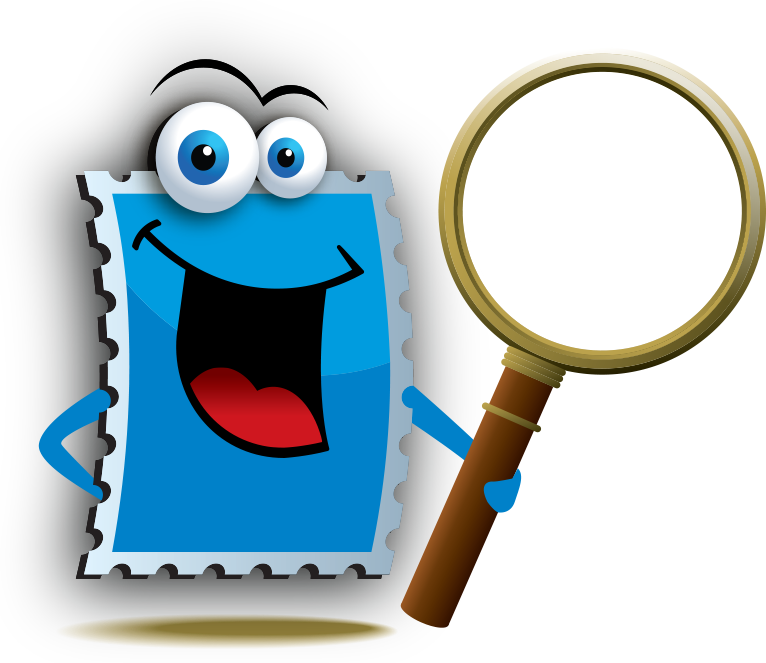 To view more stamps depicting post boxes and mailboxes, hop over to our topical checklists section to browse through related material.